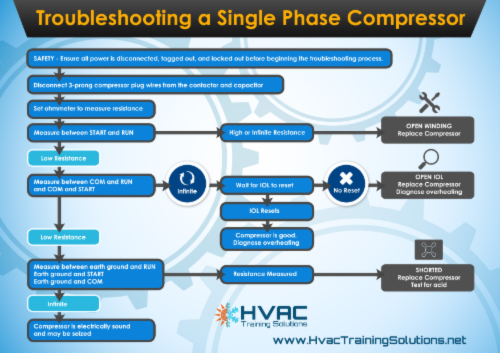 One of the most frequently asked questions I receive is about the EPA certification (HVAC Certification) and the different types of certification. The EPA exams certify you but do not, by any means, prepare you to repair HVACR equipment. 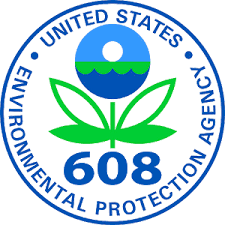 Since November 1994, the EPA has required the certification of all technicians who service air conditioning and refrigeration equipment. This includes anyone who performs installation, maintenance, or repair, including owners of equipment who perform service on their own equipment. Technicians must be certified in all equipment categories that they into to service or install. Certification is achieved by passing a test for each category. The technician receives a Certificate of Completion that records the successful completion of the tests and certifies the technician to work on specific types of equipment. You must pass the Core and at least one Type exam to get your certification. There is no “Universal” exam, you must pass all four of the exams given to obtain your Universal Certification. You must achieve a 72% or greater to pass an exam. You can take your exam at an EPA approved certifying agency which is usually a local HVACR supply house.